I posted about That elusive book of mine about a month ago. We have lots of ideas for topics but I haven’t done much actual writing. I got stuck with the idea that if I couldn’t write well then I shouldn’t write at all. Then this quote turned up and reminded we that practice makes perfect (or at least helps us get better at waht we’re doing). 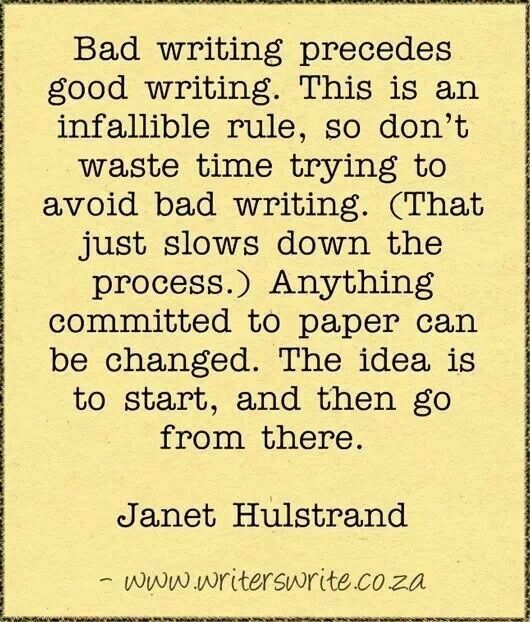 In other words, start writing and things will happen. Posted on October 17, 2015 by BengtPosted in Bits and piecesTagged Write.